The Festival through using traditional foods used by local cooks in and around the Nett Lake community, provided an environment of sharing, camaraderie and good eating in a positive venue. 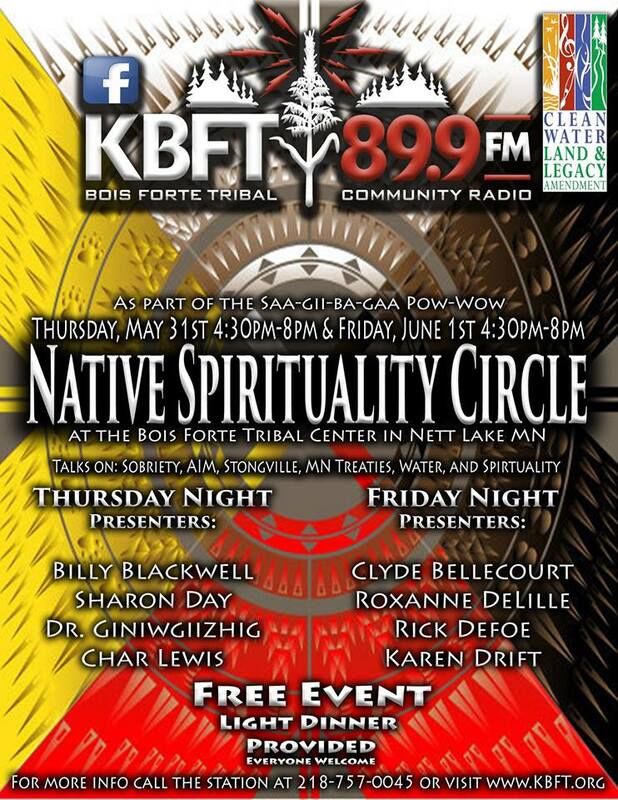 KBFT 89.9FM Bois Forte Tribal Community Radio's Native Music Fest features musicians from Indian country performing here at Nett Lake, MN. Narrated by Allison Herrera. Nett Vets is a series about Bois Forte Veterans and was produced by the Nett Lake Radio Project and made possible by a grant from the Minnesota Arts and Cultural Heritage Fund. The goal of this project is to create historical discussion and provide a look into Minnesota Outdoor Heritage from a Bois Forte perspective. Pow Wow the Dance, provides insight into the dances and regalia worn by dancers participating in today's pow wow gatherings. A series on the strange occurrences that have been witnessed or have happened on the Bois Forte Reservation. Donald Chosa shares Anishinaabemowin with Word of the Day. Likes being smart and educated. Abby likes healthy and happy family. Loves to play in the snow.